Ring News 24Boxing History Breaking Boxing News10 Boxers Who Lived Up To The Hype. And Those Who Did Not! 10 Boxers Who Lived Up To The Hype. And Those Who Did Not! Floyd Patterson and Mike Tyson former mentor Cus D’amato once claimed that “boxing is entertainment.” Promoters would possibly agree, but they would also see boxing as a business given that their job is to sell as many tickets as possible to pay the boxers and everybody else involved in an event. Depending on the quality of the contest or fighter that is being promoted, a certain degree of hype must be initiated. This can involve just the fight itself, proclaiming that certain boxing styles are bound to mesh well. Or the hype can center on the boxers and their wealth of charisma or their fighting methods. Some live up to the hype. Some do not. And there have been plenty of both in which a boxer has, or has not been able to rationalize what the hype machine assured the paying crowd. This feature is going to look at 10 boxers, of past and present, who are either, or were on their way to making themselves a promoter’s dream. Or a miscarriage of propaganda. The flame haired Mexican middleweight boxer has been pushed and sold for a few years now as the new face of boxing since Floyd Mayweather retired. Alvarez can box quite well but the general consensus is that his flaws will see him fall short of supposedly being the future legend that Oscar De La Hoya promises him to become. He also has a questionable win over Erislandy Lara in what turned out to be an entertaining bout. But most boxers do, eh? Not at the moment. His resume is okay thus far but his actions, including dumping his WBC title in order to avoid Gennady Golovkin, do not speak of a man that is totally confident in his ability to come through bouts that would define his legacy. He has a lot of work to do! The former gold medalist is already a world champion and has not even had 20 fights! It is common for sports fans to go a little wild when somebody wins an Olympic medal, although the end result is often that they leave their respective sports accomplished! 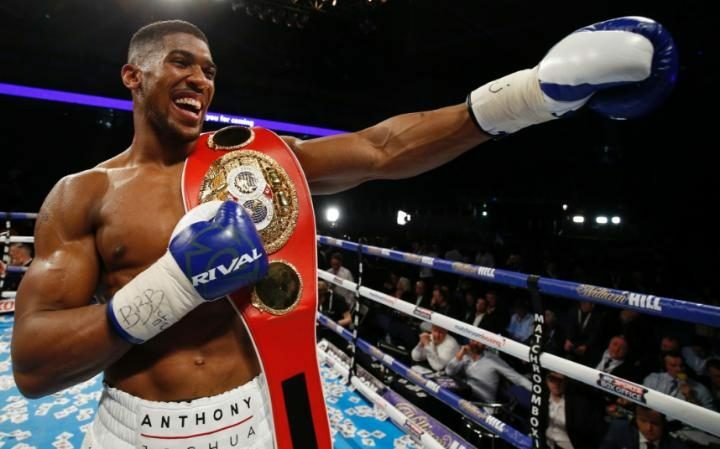 Although it would be nice to hear of Anthony Joshua speak less of knockouts and more about just getting a win, which shows maturity, he has lead with the type of performances that have seen him get some spectacular KO’s and the experience of a much older fighter. There were calls for Joshua to step up his level of opposition since beating Charles Martin for the IBF crown but it seems as if Matchroom have listened to the fans because he will be facing former 10 year reigning heavyweight champion, Wladimir Klitschko on April 29th which has many people agreeing that it is a 50/50 contest. As of right now, the hype is probably deserved. But don’t bet your house on a Anthony Joshua win in April! The five weight champion did what many boxers do not do and promoted himself for a large portion of his career. He didn’t really reach the pinacle of success until he fought and beat Oscar De La Hoya in 2007. His marketing strategy of provoking a hostile reaction from fans so they would buy his fights on PPV was both clever and a little outrageous. Whether he is truly done in the ring is anybody’s guess although it would be a smart move if he is. 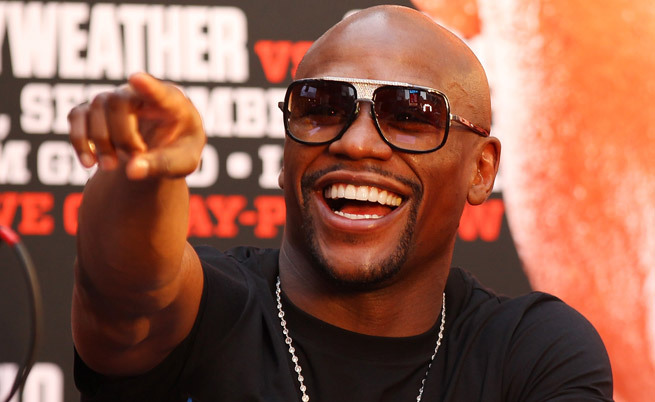 Floyd Mayweather is the type of fighter that many would say that the hype wasn’t justified when he was campaigning. Now that he has hung up the gloves it gives everybody a chance to view everything with a complete perspective. Floyd Mayweather retired with an unblemished record, was hardly even hit throughout his 49 fight career and probably displayed skills that made him possibly the most skillful fighter in the history of the sport! Yes, the hype was justified but his boxing style was not for everybody. That is just the way it is. 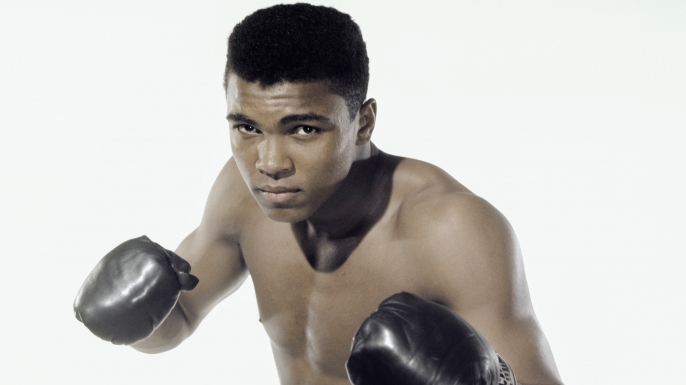 Muhammad Ali was quite simply the definitive figure of the sport of boxing! He was not afraid to rattle cages and cause controversy, with some issues not even pertaining to his time spent in the ring! Ali made the whole world stand up and pay attention. Few fighters can persuade people to go from hating to lending them infinite adoration. Muhammad Ali fought everybody and would not find an excuse to avoid anyone, no matter how hard they hit or how skillfully equipped they were. Ali labelled himself as ‘The Greatest’ which will be debated for all eternity. However, he dared to against the grain during a time of racial hostility and became a spokesman for civil rights. He stated things that not many would have the courage to stand up say. Not just a boxer, he was a politician for those that were continuously opressed and gave people hope that things could change for the better. It is difficult to find the right words to sum up the most famous heavyweight boxer in history but there is a reason as to why he is remembered by so many with affection. Boxing really was such a small part of his being. Hype? Muhammad Ali was no hype! The Golden Boy was another gold medalist that many predicted would go on to achieve greatness. As a boxer he was good looking, had a fan friendly boxing style and a humble and friendly personality to match. All ingredients that were promoted the heck out of! De La Hoya did go on to lose his defining fights, some quite convincingly. But the big fights still kept coming and the six weight champion gave it his all in every single one of them. There was a lot of claptrap that was stated at the beginning. Oscar once suggested that his body would let him go up to light-heavyweight, which would have possibly seen him be an eight weight champion. But when he started to lose fights against some of the best of his era then expectations came down a little. No, the hype was not justified when you think that he lost all of his most important fights. Although that second Shane Mosley bout should have been his to win. And mostly everybody knows it! The Mancunian light-welterweight fighter probably has the honour of having the biggest domestic fan base a British boxer has ever had. This led to some of the most memorable nights British boxing has ever been witness to! Hatton eventually took his fans to America and gave native Las Vegas residents a shock when the Brits drank the place nearly dry. 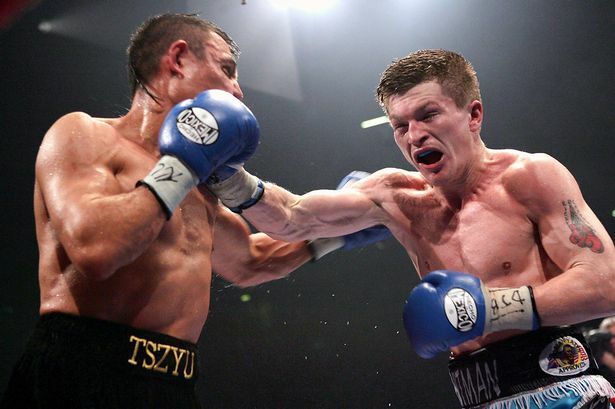 When Ricky Hatton was around his career was an experience for thousands! As the Hitman once put it, he had “balls of steel.” Hatton had the ambition and drive to become one of boxing’s best pound for pound fighters. Unfortunately, he didn’t quite make it but had fighters such as Floyd Mayweather admitting that he was one of his toughest competitors. He was also a champion in two weight classes and won his first authentic world title, the IBF, more than once. Not bad for a kid who couldn’t even make it as a carpenter! The hype was justified for what it described of him. The British heavyweight boxer gained a big following due to his “gentle giant” nature and reputation for being a “nearly man” when he came close, but ultimately failing to win the heavyweight championship three times. He coined the phrase “Alright ‘Arry” which made it into British television commercials and even went as far as using sexual innuendos, talking about his “Black and Decker” that had many rolling with laughter. He was the Ricky Hatton of the 1980’s and early 1990’s. The marketing machine was more about his ability to be vocally witty than his capability in the ring. But fans never lost faith whenever he had some of the biggest fights of his career dawning upon him. Bruno fought with a type of stiffness and upright style that was not difficult to nullify and even went life and death with Oliver McCall before finally resting the WBC title from him. Mike Tyson rapidly ripped it away six months after and Bruno retired, knowing that there wasn’t much else he could achieve. Perspective and reality has to be at the forefront here when taking all into consideration. The hype sadly wasn’t justified. Sheffield’s ‘Prince’ Naseem Hamed took the UK by storm when he stopped Steve Robinson for the WBO featherweight crown in 1995. Fighting out of the famous Ingle gym, he possessed defensive movements that relied on speed and reflexes to dodge punches and the power to knockout almost any featherweight fighter in his era! Hamed went on to grab the WBC and IBF titles before being defeated by Marco Antonio Barrera in Las Vegas in 2001. He had one more frustrating fight against Manuel Calvo before never fighting again. Those that think that Naseem Hamed was “exposed” when he was beaten by Barrera are probably not giving his wins over the likes of veteran boxers like Tom Johnson, Manuel Medina, Kevin Kelley and Wayne McCullough enough recognition. But it is all about how a boxer responds when his record is hit by it’s first blemish. Many greats of the past have bounced back and went on to achieve some great things. Roberto Duran did after being knocked senseless by Thomas Hearns. Leonard, Ali, Evander Holyfield…most of them never let a loss get them down. The heavyweight division had been struggling prior to Tyson’s thunderous arrival! He became the youngest heavyweight champion at 20 years of age and blasted his way through everybody during the 1980’s including Michael Spinks in just 91 seconds. But personal issues soon got in the way and he was soundly beaten by 42-1 underdog, Buster Douglas in 1990. After serving a 5 year prison sentence, Mike Tyson returned to the ring but only had brief success before being found out by Evander Holyfield which effectively and permanently ruined his confidence. Although fans still had faith in him, Tyson never found his stride again before quitting in 2005. There is a fair chance that the public became enamoured with the psychological profile of Mike Tyson and the way he despatched most of whom stood in front of him. But when one looks at his ring achievements and his lack of longevity, things become a little clearer in terms of his greatness. Mike was entertaining to watch for most but his 4 year 1980’s stint as world champion and his 8 month success between March 1996 and November 1996 are quite brief. There is also the question of whether he had beaten anybody solid enough to define his legacy. That would be a struggle for anybody to find. The hype machine around him certainly does not match what he actually did in the sport. In fairness, the Bolton boxer is still competing and may have another couple of years left yet. Also, it seems as if those in charge in the marketing department, specifically fight promoters, have calmed their attempts down greatly at convincing people that Britain has launched a welterweight legend in the making. But the hype was quite immense at the start of Amir Khan’s career, and that is what we are going to aim for here. Do you remember the time when that DVD, titled ‘Amir Khan: The Champion’ was released? Yes, it said ‘Champion.’ Yet, Khan had not even touched a world title at that point! Being put down by less than stellar opposition in his quest to rise through the ranks made many raise their eyebrows although he did beat Andreas Kotelnik in 2009 after bouncing back from a 1st round defeat to Breidis Prescott. 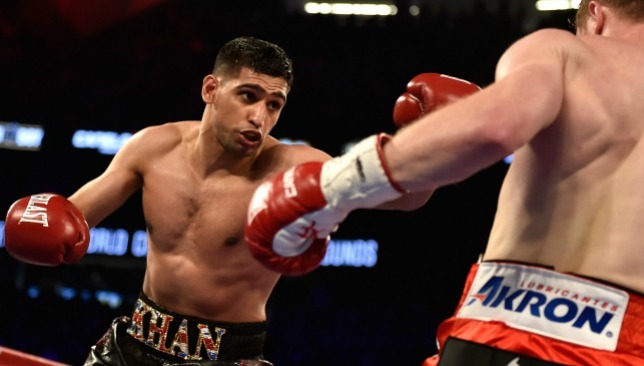 Khan has beaten the likes of Zab Judah and Paulie Malignaggi but has tasted defeat three more times since, most recently in a brave attempt against Saul Alvarez when Khan climbed up two weight divisions. Manny Pacquiao is slated to be his next opponent. It looks as if those in suits know they can no longer sell Amir Khan as a legend in the making but that should not be a reflection on Khan, himself, who has always wanted to fight the best boxing has to offer. His heart cannot be questioned even if his punch resistance can. But this feature, as has already mentioned, is looking back at the start of his career when the hype was in full gear. This is probably one of the easiest no’s that just has to be given here but his accomplishments, one of which being a two weight champion and fighting above average competition should be admired.